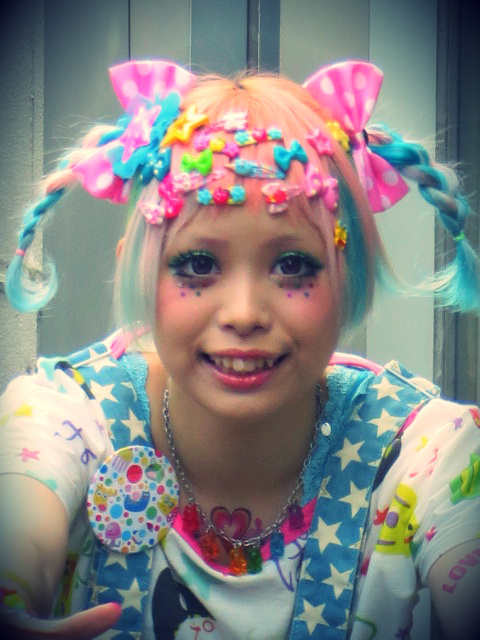 The other day I was daydreaming down Takeshita Street in Harajuku when I saw a girl. This girl. She was wearing platform converse sneakers with plush panda tongues. Five watches on her wrist. Twenty bows in her hair. Stars and glitter and unicorns and fairydust. She was standing alert ready to pounce as if to catch an imaginary football. I asked her in Japanese what she was doing. She replied in English, “catching bubbles”. Right at that moment her friend (male, also made of fairydust and wearing a neon jumpsuit) produced a yellow plastic duck. The type you used to play with in the bath as a kid. Only this duck blew bubbles. He blew bubbles and she caught them. She was catching bubbles.